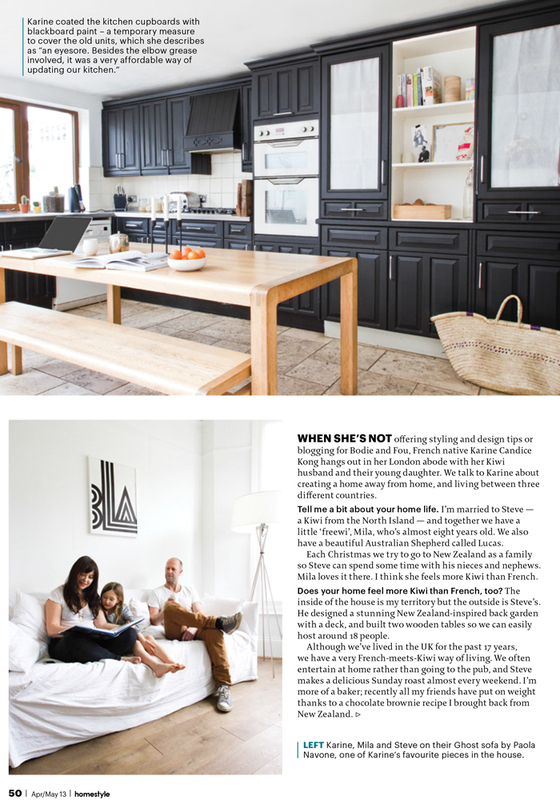 A few weeks ago, our London home was featured in Home Style NZ magazine. As the mother of a “freewi” child (franco-Kiwi) and being married to a kiwi, New-Zealand has a special place in my heart. It’s a beautiful country with very welcoming people and if you’ve never been, I strongly encourage you to go there once. You will fall in love with this beautiful country and its people. Congratulations!! well deserve your home is fantastic, and I love your kitchen, I think this is the first time I see it, is amazing, so big!! Thanks Tara…it is a temporary project until we revamp the kitchen but I’m all for black units. Merci beaucoup, j’adore votre salle de bain et les carreaux sont magnifiques! Thank you very much @mariela I’m still feeling under the weather but hopefully will feel back to normal tomorrow. Great job on your son’s bedroom! 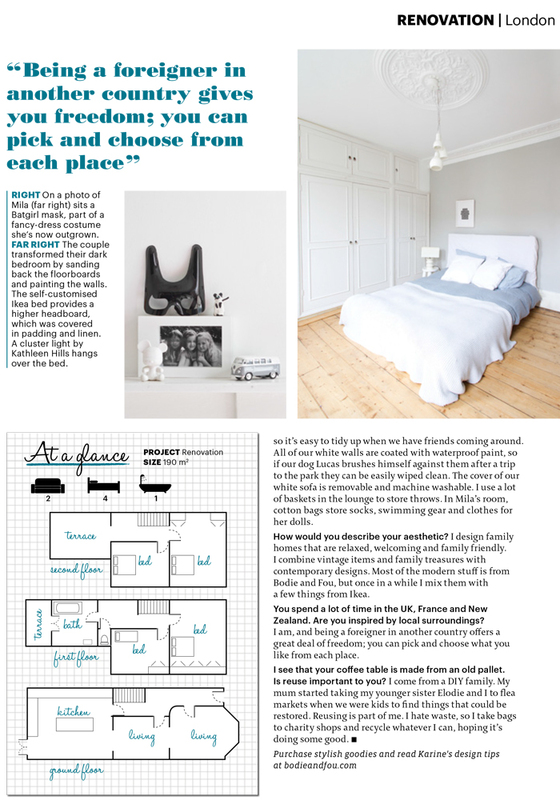 your house looks stunning!i have been a bit addicted to reading your blog since i first discovered it a couple of years ago. 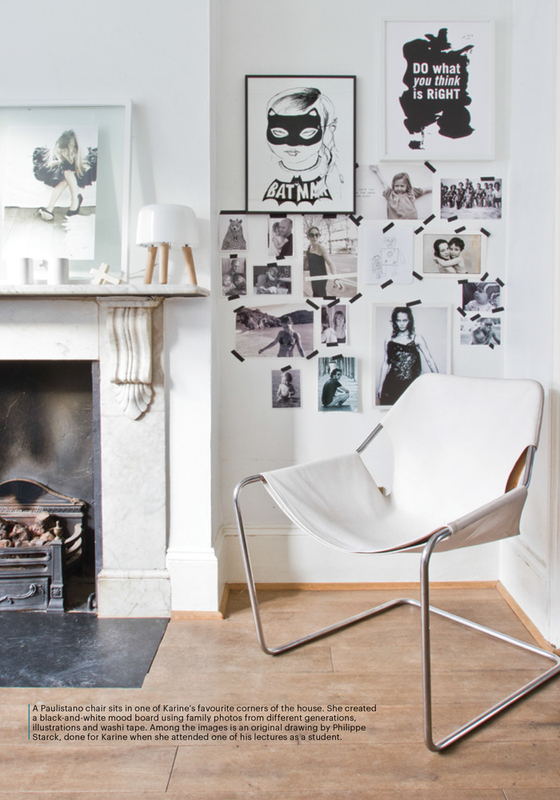 lots of things youve posted on the blog have inspired me with my own home – a family moodboard with MT masking tapes being one of them! Hello Karine, je découvre Bodie and Fou avec beaucoup de plaisir, grâce aux innombrables photos de ton intérieur qui circulent sur le net…c’est juste…magnifique!! 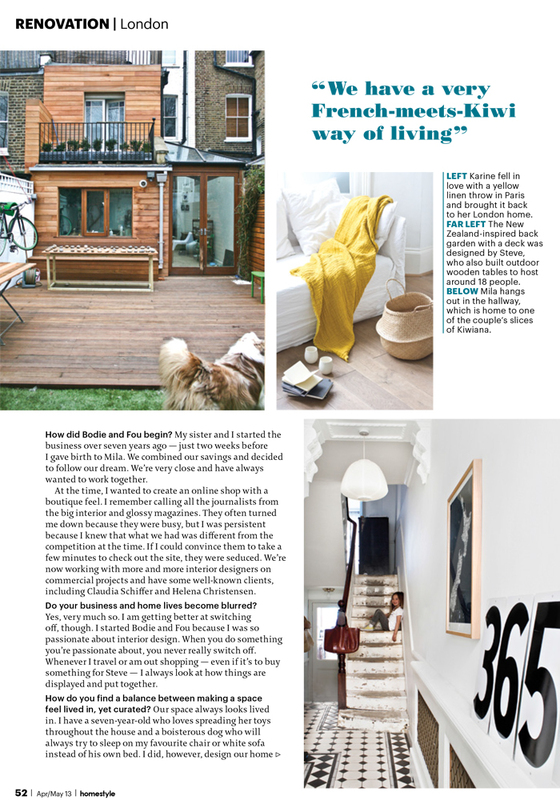 Je suis particulièrement tombée amoureuse du parquet dans ton living : il a une couleur tellement parfaite!! Est-ce un nouveau ou l’existant rénové? pourrais-tu me dire quels traitements tu as appliqué? Un tout grand merci! Thank you very much @Louise. It makes me feel very happy to read this! 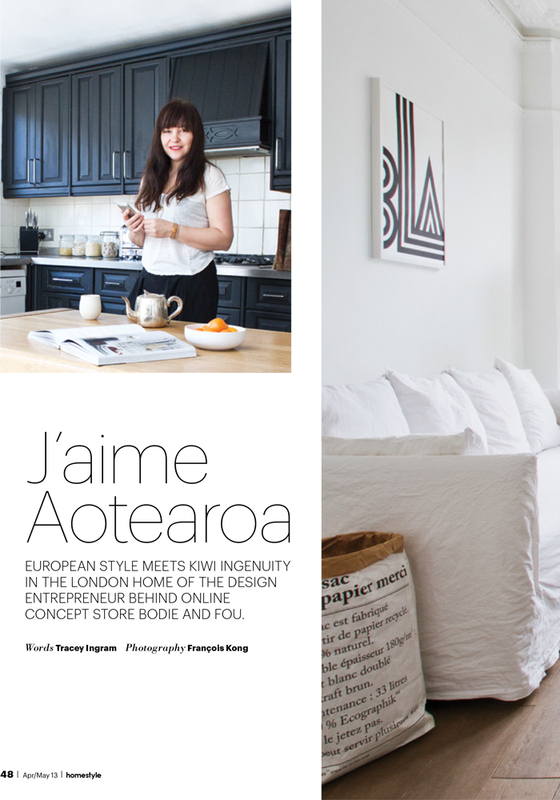 Your home looks great and I love the mix of Europe and Kiwiana style. Looking forward to the bathroom! 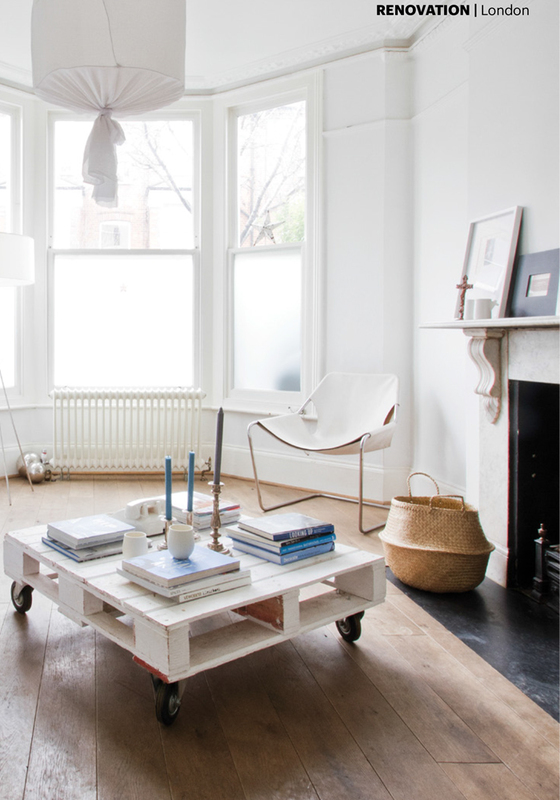 I loved your home, each and everything is so well organized and adds to the overall decor of your home. I love traveling and visiting a place recommended by someone always comes on top of my list. I hope I get to visit this place soon. Previous PostAre you interested in my bathroom renovation project ?